One such investment has recently been delivered from Flintec UK to our state of the art manufacturing facility in Koggola, Sri Lanka. Our British engineers designed and built a temperature controlled 1 tonne dead weight test machine to calibrate Flintec load cell products. 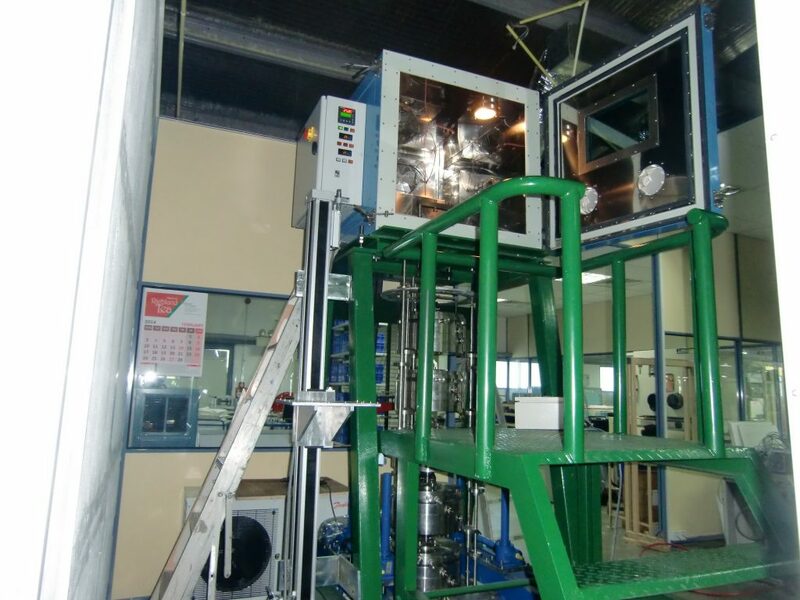 This equipment was commissioned to provide greater testing accuracy, which is not always achievable when using other means of load application such as hydraulic. Dead weight testing is by far the most stable and accurate means to test load cell performance. This machine will allow Flintec to apply accurately defined dead loads to our mid-range capacity products to measure output ranging between 100Kg and 1000Kg in 5 stages. The weighing modules have been designed using a unique weight transfer mechanism which allows testing up to 1 Tonne capacity in 5 increments using pre-selectable weights within each 200Kg weight module. The machine allows for span, hysteresis, linearity and creep testing between temperatures of 5 ­ 40 degrees. The machine itself is approximately 3.2 meters high and took over 400 man hours to design, build and commission. For further information on Flintec products contact us today.